You may have a great team of professional, courteous, customer-service oriented analysts, but that doesn't mean they'll always know how to resolve an issue. 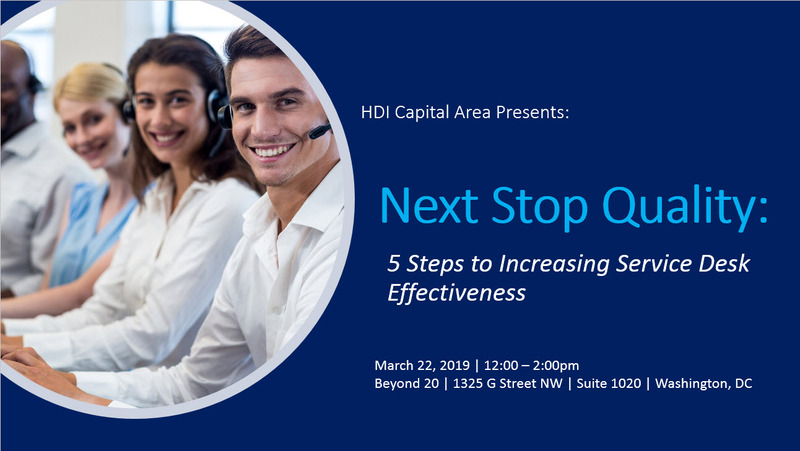 Attend this interactive presentation for a discussion of the many obstacles to service desk effectiveness and strategies for overcoming them. Leave motivated to begin implementing these strategies and increasing quality on your service desk right away! Monica Morrison is a dynamic, passionate leader with remarkable strategic vision and focus on customer satisfaction, process improvement, and solutions implementation. She has more than 23 years of experience implementing ITSM best practices that have improved service delivery and support in large companies as well as nonprofit organizations. Monica has extensive experience coaching and mentoring individuals and building strong, cohesive teams that achieve results. She holds ITIL and HDI Support Center Manager certifications and currently serves as the VP of Program Logistics for the HDI Capital Area chapter.